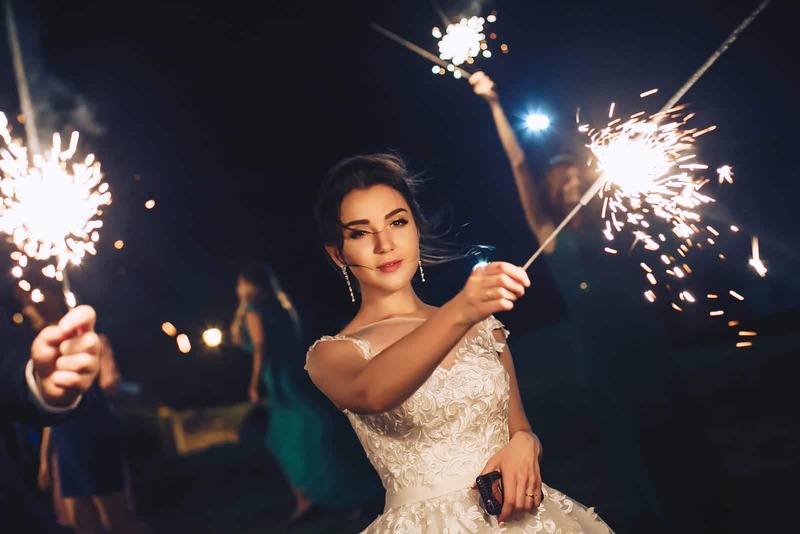 Using sparklers for a wedding sendoff is not a new trend. It’s been very popular for a few years now. Did you know that you can also use sparklers in creative ways for other parts of your wedding and reception? Check out these ideas and let us know what you think! Need affordable wedding catering in Raleigh in 2019? Make the call to the pros at Catering by Design today. Our highly trained team is ready to speak with you and answer any questions you might have. Be sure to ask about our delivery options as well. Call now to learn more about our Raleigh wedding catering packages. Want to make your first dance really dramatic? Have the bridal party and the wedding guests surround you with large sparklers. A 36 inch sparkler can burn for almost 4 minutes which should cover the entire first dance. Just imagine how beautiful the pictures of this will be! Cutting the wedding cake can be a little boring. Jazz it up with cake sparklers. Don’t worry, cake sparklers are smokeless and ash-less and will not harm your wedding cake. They are also 100% safe for indoor settings as well. One thing you can count on is that this will definitely grab the attention of all your wedding guests. Like we mentioned above, many brides and grooms have used sparklers for the wedding sendoff. Why not switch it up and use sparklers for the bride’s grand entrance? Set up some sparklers on stands by the entrance where the bride will make her first appearance and have the wedding coordinator light them right before the music plays. Do you need great food and even better prices for your next event? Please continue reading to learn how Catering by Design can save you time and money. Catering by Design is the top choice when it comes to wedding catering in Raleigh NC. We have affordable menus that can be modified to meet any of your, or your guests’, needs. Please click here to check out our Raleigh wedding packages. Brides, call us today and ask about our free tastings. We’re an award winning wedding caterer, and have been serving brides and their families for decades. If you do not need full catering, ask us about our delivery services. When only the best will do, call Catering by Design to find out why we’re the top choice for Raleigh wedding catering services. Weddings are exciting but also expensive. After your wedding is over you’ll have lots of leftovers like decor, your wedding attire, and more. In today’s post we have some great ideas on how you can recycle and reuse your wedding things. Searching for affordable Raleigh wedding catering for a 2019 reception? Call the pros at Catering by Design. We have the best options for Triangle weddings, corporate meetings, banquets, social events, birthday parties, and more. Keep your wedding decorations and use them to decorate your home. You can also use them for parties or other get-togethers. We’ve used several of our wedding decorations for our daughter’s birthday parties. You can also sell them to recoup some of your money back. Furthermore, you can re-gift them during the holidays! Photo frames, vases, and candle holders all make great gifts. Do you have a lot of leftover wedding favors? Getting rid of them might be a little tricky depending on what they are. If they’re edible with a short shelf life, be sure to give some to your onsite wedding vendors to put a dent in your collection. You can also encourage your guests to take a few extras home with them. You can also give more out to family and friends during your day after brunch. If you wore white shoes for your wedding day think about having them dyed a different color for future use. You can also try selling them online or donating them. Don’t let your wedding gown sit in the closet collecting dust. Have a seamstress or tailor transform it into a fancy cocktail dress. You can also have it remade into a beautiful dress for your daughter or niece. You can also sell it or donate it to a needy bride as well. Over the course of our last few posts we’ve been focused on barn weddings. We’ve discussed the logistics of planning a barn wedding and given some tips and tricks on things you can do to nail the look you’re going for. Below you’ll find some more decorating tips to incorporate into your barn wedding. Need the most affordable catering Raleigh NC has to offer in 2019? Calling Catering by Design is a great way to save time and money. We can help you with school events, wedding receptions, business luncheons, social parties, award banquets, holiday functions, birthdays, and more. Barns generally don’t have the best lighting. Luckily you’ve got a lot of options. You can use candles. You can float them, put them on stands, and inside lanterns. You can use different sizes and types of string lights or fairy lights. And another great idea is using Edison bulbs. These are an affordable and trendy way get a beautiful soft glow and to warm up large spaces. Bring the outdoors inside by using lots of foliage and flowers. Foliage will give you that rustic country vibe while the flowers will add dashes of color. Using seasonal plants will not only enhance your theme, but it will save you some budget dollars as well. Burlap has been a long-time favorite for barn weddings. You can use burlap for rustic table runners, chair bows, and on other small decorative items. Bunting comes in all different types of fabrics, colors, and patterns. This is another great idea for adding touches of color to the earthy backdrop of a barn wedding. Don’t miss the other posts in this series. Be sure to click on these links below. You’ll find lots of helpful information that will guide you through the planning process of having a beautiful barn wedding. 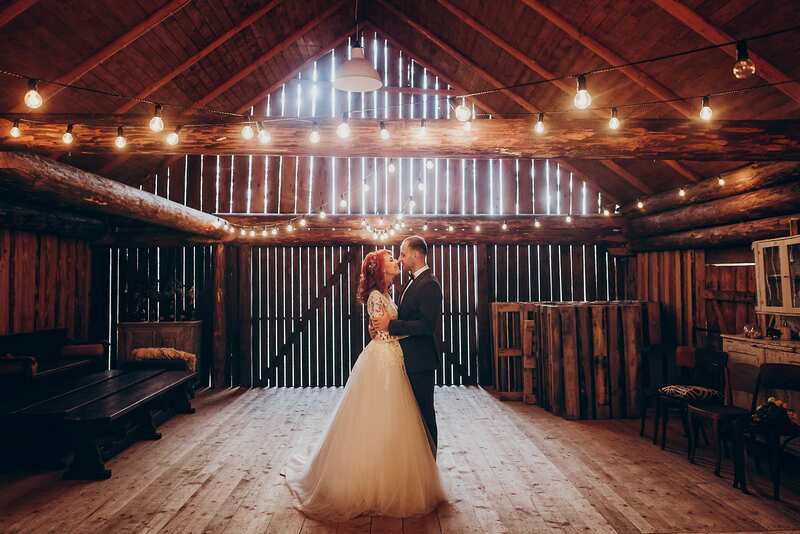 Want a Beautiful Barn Wedding? Use These Tips and Tricks! Do you need highly rated yet affordable catering Raleigh NC services for your next business meeting, school event, social function, or wedding reception? Please call Catering by Design! We’re one of the most trusted and affordable catering companies in the area. We have menus that can be fully customized. We also have the best prices and customer service in the Triangle. Getting married in 2018? Brides and grooms should give us a call today to schedule a free menu tasting. Don’t need full service? Ask about our delivery services. Do you dream of having a beautiful barn wedding? With the right planning and strategy you can make your dream come true. In today’s post we’ll be talking about the best rustic barn wedding tips and tricks we’ve ever seen. Searching for the best Cary wedding catering with affordable reception packages and a vast menu selection? Catering by Design can help you out. Call us today to learn more about the services that we offer or to schedule your tasting! Just because you’re getting married in a barn doesn’t mean you have to sacrifice style. Decorating a barn for your wedding should start with your style and the look you’re trying to achieve. You can incorporate both rustic and chic accents, and you don’t have to commit to being overly formal or casual either. 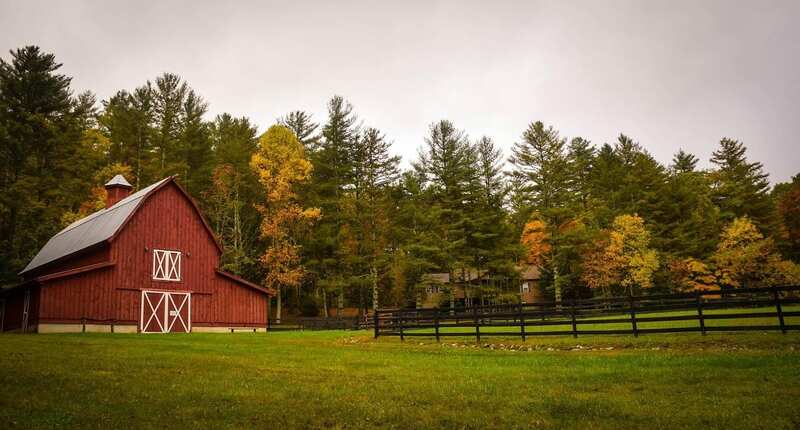 If your budget is tight, then one of the best things about having a barn wedding is taking advantage of the venue’s natural beauty and ambiance. You don’t have to spend lots of money on floor to ceiling floral arrangements, extravagant lighting, or other expensive details. You see, a barn offers the perfect blank canvas for you to experiment on with your style. This allows you to add your own personal touches that speak to your creativity. You can even try out your own DIY projects for lighting, centerpieces, and other decor items. Are you interested in learning more about how to throw a beautiful barn wedding? Check out our last post. Need more inspiration and guidance on what type of decor to use for your barn wedding? Head on over to the next post in this series. Searching for a reliable catering company for an upcoming wedding reception or event? Keep reading to see how Catering by Design can help you. For world class pricing and Cary wedding catering, Catering by Design should be at the top of every bride’s list. Check out our menus, then call us to plan your FREE menu tasting. At Catering by Design, we can also help you with business luncheons, award banquets, social gatherings, birthday or anniversary parties, and more. Don’t need full service and staff at your event? Ask us about our delivery packages. This is an extra affordable option that will impress your friends, family, employees, or business clients. Our customer service, prices, and attention to detail cannot be beat. Come see why we’ve won so many catering awards. Call us today. You’ll be glad you did! Barn weddings are really popular, especially in North Carolina. Combining rustic and chic elements make for the ultimate romantic setting to celebrate the joining of two families. If you’re thinking about planning a barn wedding this year, then you’ve come to the right place. Below you’ll find some helpful tips that will make your barn wedding a success. Searching for the best Raleigh catering companies this year? Catering by Design is Raleigh’s number one choice for great food, fantastic fun, and affordable prices. Call now to learn how we can help you save time and money. Is a barn wedding right for me? Before you get too far in the planning you’ll need to ask yourself if having a wedding ceremony in a barn is the right venue for you. You’ll need to know the approximate number of guests you’ll have attending and the time of year of your ceremony. If you’re having a large crowd, let’s say 500 guests, then a barn might not be able to accommodate this many people and vendors. If you’re planning a winter or summer wedding, keep in mind that many barns do not have a heating or cooling system. That means you will probably have to rent heaters, fans, or portable air conditioners to keep your guests comfortable. After you’ve decided that having a barn wedding is the right move, spend time establishing your budget. This is very important factor and it will play a major role in picking the right barn venue. You’ll need to plan a budget that has some wiggle room in case your venue does not offer full service. However, you should know that full service venues do tend to be more expensive. You’ll just need to weigh the pros and cons of each and budget accordingly. If the venue you’ve got your eye on traditionally hosts weddings, reach out to the staff and see if they have an itemized list of what’s included in the package and what is not. This might help you with your budget planning. 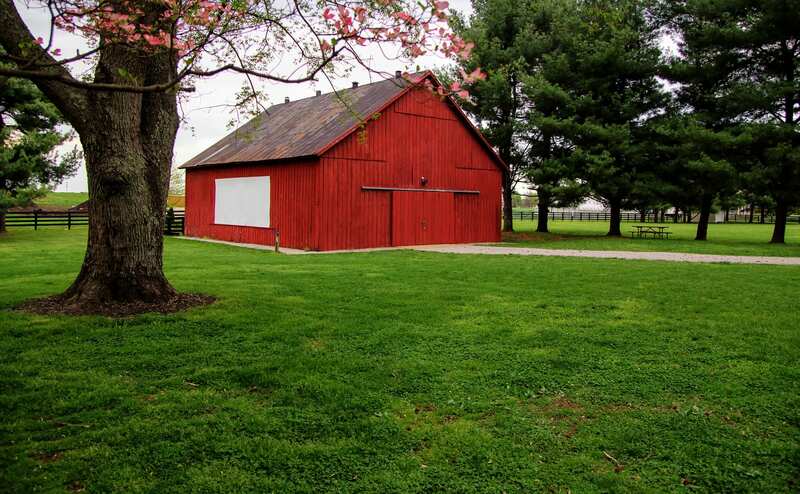 Now you’ve got to find the right barn to host your wedding and reception. This could be a little tricky depending on the type of ceremony you want to have. You should make a list of all the logistics that you can think of. Here are a few items to get you started. Is this barn permitted to host events? Does the barn have climate control features? How many guests can the barn hold comfortably? Is there adequate parking onsite? How many cars will parking accommodate? Are the event venue’s grounds wheelchair and handicap accessible? What does the venue rental cover? Will tables, chairs, linens, glassware, etc. be provided or will you need to find a vendor to supply them? Does the barn have a list of preferred vendors or can you choose your own? How much time will your vendors be allowed to set up and tear down? Is a wedding coordinator required? Is an onsite coordinator available? Is there sufficient electricity or will you need to rent generators? Is there space for a DJ to set up and plug in their equipment? Does the barn venue have onsite restrooms or will you need to rent portable ones? Is there a kitchen with running water and a refrigerator? Does the venue have a liquor license? Is there a specific space for the wedding party to get ready the day of the ceremony? If not, you’ll need to locate a hotel that’s close to the wedding venue. Is there a curfew or noise ordinance restriction? 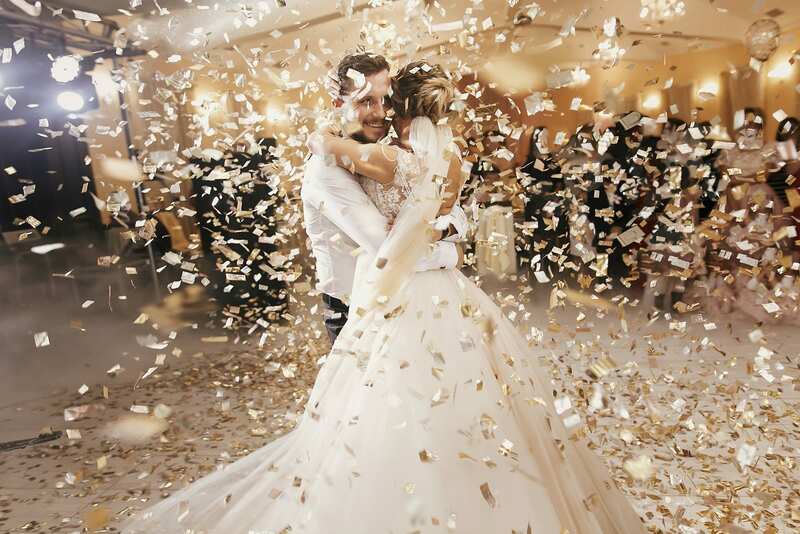 Will you need to provide wedding liability insurance? Are there any additional fees like corkage, service charge, cake cutting, etc.? For more tips on how to have a beautiful wedding in a rustic barn, head on over to part two of this series. We’ll have some great ideas on decor, food, and more. For information about our award-winning catering company in Raleigh, please keep reading on below. All Raleigh catering companies are not the same. So, if you have a fall or winter event coming up, make the right choice by calling the professionals at Catering by Design. We have the best menus for events of any size, large or small, formal or informal. From weddings, renewals, and anniversary parties, to corporate events, awards banquets, tailgates, birthdays and more, Catering by Design can make sure your food and fun are on point. We’ve been serving up smiles to people all over North Carolina for decades. So give us a call today and see why we’re the number one choice for Raleigh catering companies! Over the course of the last few posts we have been highlighting some of our favorite 2019 wedding trends. We have covered wedding gowns, lighting, entertainment, and more. If you missed these posts then scroll down to the bottom of the page. You’ll find a few links to go back and check them out. Today we will be listing our final 2019 wedding trend favorites. If you’re looking for the best wedding caterers Raleigh NC has to offer for a 2019 reception, be sure to call Catering by Design. You’ll love our food, service, and free menu tastings. Outdoor weddings are big in NC thanks to our great weather (when it’s not raining). That’s why a big 2019 decor trend will be focused on bringing the indoors outside by making outside spaces feel as comfortable and homey as possible. We’re talking about lounging furniture, farm tables, and more. Sendoffs for the bride and groom are typically reserved for birdseed, rice, and sometimes sparklers. 2019 is all about the colorful sendoff. Wow-worthy confetti and colorful smoke bombs are at the top of the list. Naked cakes are on the way out. The big trend for 2019 is statement cakes. These wedding cakes look like they belong in a museum. Metallic touches, personalized monograms and regal piping will be trending everywhere. If you missed the other posts in this series, please use these links below to visit back with them for more awesome and inspiring 2019 wedding trends. Be sure to come back each week and visit with our blog for more great topics. We talk about recipes, cooking tips, weddings, and lots more. If you have a wedding reception or food event coming up, keep reading to learn more about why Catering by Design is the top choice for Triangle residents. Do you need the best wedding caterers Raleigh NC has to offer for your reception? Please call Catering by Design today for a free menu tasting! We’re one of the most highly rated, and affordable, catering companies in Wake County. We have wedding menus that can be fully customized. We have the best prices and customer service in the Triangle. Give us a call today to schedule your free tasting. Welcome back to our series on our favorite wedding trends for 2019! In our last post we talked about velvety fabric, bridal hats, and wedding gowns. Be sure to use the link above to go back and take a look. Today’s piece will be featuring some more of our favorite 2019 wedding trends. Do you need a reliable Raleigh catering company for a 2019 wedding? Catering by Design is the area’s top choice for great food, fun, and affordable prices. Call our team of pros today to learn more about how we can help you save time and money. Providing a source of fun entertainment at your wedding reception can be hard to figure out at times. 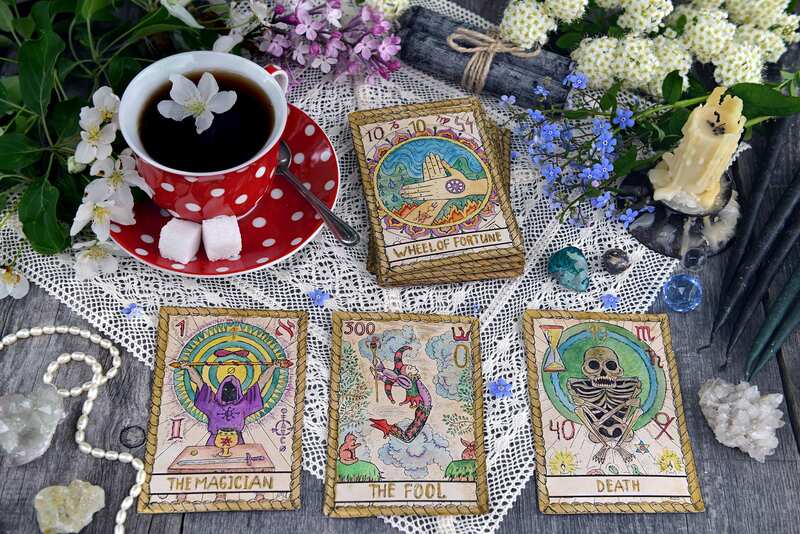 Hiring a tarot card or palm reader for your reception is a 2019 trend that we really love. It will provide a unique and cool experience that your guests will never forget. This is a great idea to really take your wedding to the next level. Another entertainment trend that we think could be popular in 2019 is hiring caricature artists. This is another creative way to make your wedding reception stand out. Depending on how many guests you’ll have attending you might want to hire more than one artists to ensure everyone gets their own drawing. Make a statement at your wedding in 2019 with dramatic lighting. We’re talking about going beyond the traditional lighting options such as twinkle lights and string bulbs. In 2019 expect to see neon installations, basket lanterns, and subtle colored taper candles. 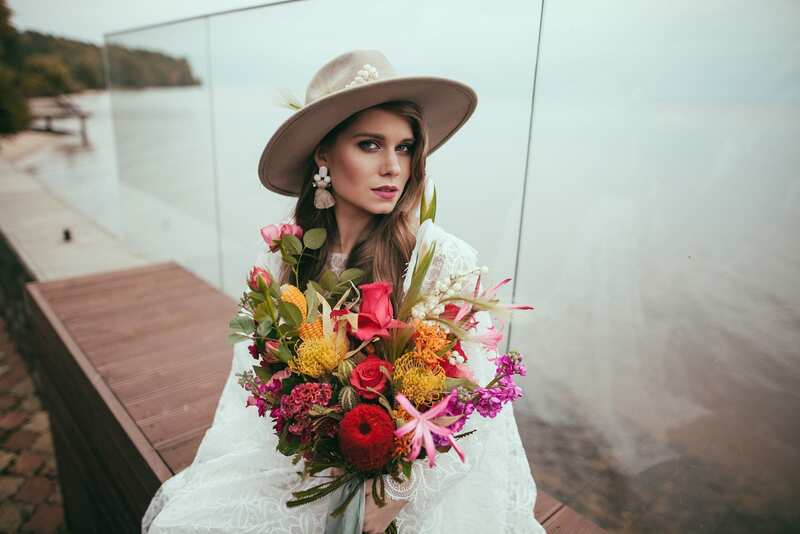 Head on over to part three of this series to see what 2019 wedding trends made it into our final favs! All Raleigh catering companies are not the same. So, if you have a wedding reception planned in 2019, make the right choice by calling the professionals at Catering by Design. We have the best menus for events of any size, large or small, formal or informal. From weddings, renewals and anniversary parties, to corporate events, awards banquets, tailgates, birthdays and more, Catering by Design can make sure your food and fun are on point. Don’t need full service catering? Be sure to ask us about our delivery options. This is a great way to provide excellent food to your guests when you have limited budget. We’ve been serving up smiles to people all over North Carolina for decades. So give us a call today and see why we’re the number one choice for Raleigh catering companies! The thing about wedding trends is that they evolve over time. Wedding decorations, floral arrangements, entertainment, fashion, and food selections are constantly changing. Some of these trends even see drastic changes year after year. So what are the big trends that we’re looking forward to seeing in 2019? Over the next few posts we will be highlighting several of our favorites. Take a look below and tell us what you think. Searching for the best wedding catering companies Raleigh NC has to offer? Call Catering by Design to speak to a member of our professional team. We offer big savings, great customer service, and some of the best food in the Triangle. Not all brides want to wear a veil. This is not a big deal for 2019. A big trend that we’re excited to see is brides wearing hats! Yes, you heard us right … hats. For spring and fall look for fedoras and panama hats. During the summer months you might see straw hats. For the winter season we think wool or felt hats will be a great looking accessory to round out your bridal ensemble. Velvet will be making a big statement in 2019. Most think velvet is a winter or cold weather only fabric. However, with the right touches you can use velvet during any season. Suits and bridesmaids’ dresses will make for a major velvet statement. You can also add velvet to subtle details like shoes or even the ribbon attached to your bouquet. Classic designs and simple styles will be at forefront for bridal gowns this year. The return of this trend is thanks to Meghan Markle and Prince Harry’s royal wedding last year. Finding the right silhouette to fit your shape and tailoring is the key to pulling this look off in style. Be sure to join us for the next post of this series to learn more about the biggest 2019 wedding trends. If you are looking for reliable wedding catering companies in Raleigh NC for your 2019 reception, please call Catering by Design today. Our team of highly trained professionals is ready to take your call to schedule your service today. We are an award winning catering company that can handle events of any size. Planning a wedding? Brides and grooms will love our free menu tastings. This is a free service we offer that most of our competitors charge for. Please click here to check out our menus, or call us today with any questions or to ask about our specials! 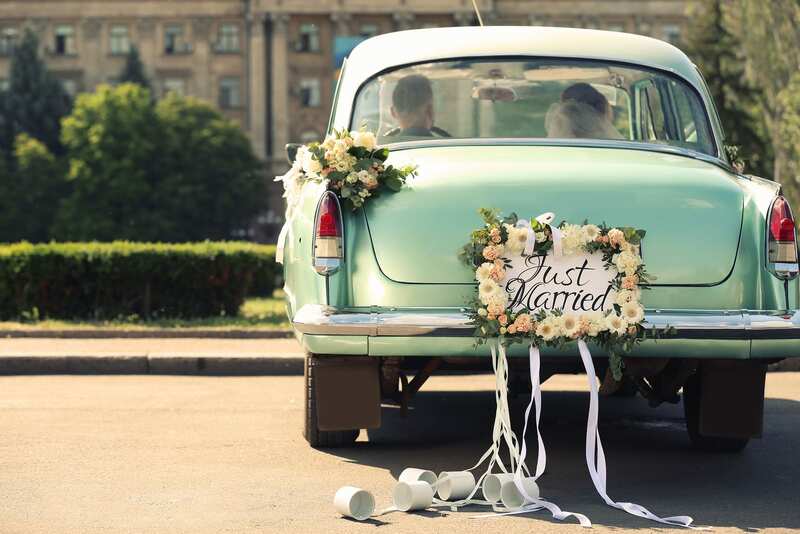 Believe it or not, there are some timeless and classic wedding trends. Using the wrong trends when planning your wedding can really date your big day when you take a look back in a few years. In our last post, we spoke about not using geometric ceremony backdrops, champagne towers, bad hashtags, bridesmaid dress colors, and more. 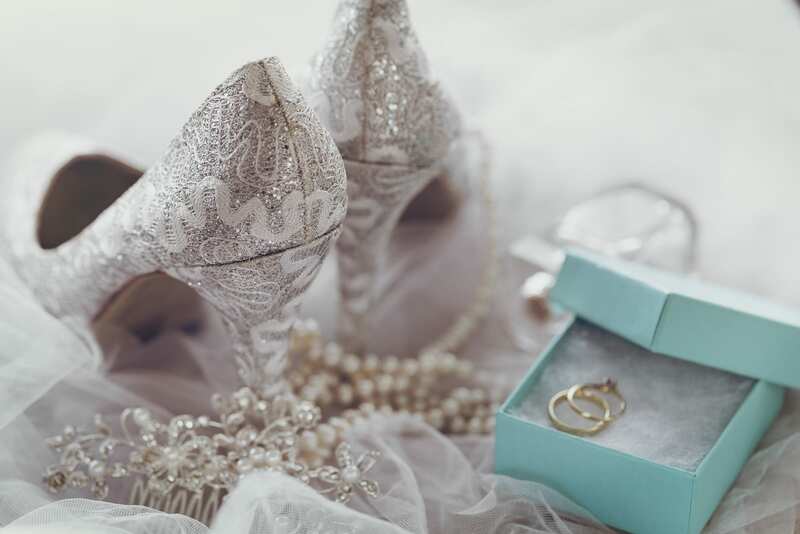 Take a look at these wedding trends to avoid by clicking here. Below we’ll round out the series with a few more bad wedding trends to steer clear of in 2019. Do you need the best Raleigh NC wedding catering for a 2019 ceremony? Catering by Design can help you save time and money. Our clients love our fresh flavors, great customer service, and incredible catering packages. Don’t need full service? Ask us about our wedding catering delivery options. Naked cakes became really trendy with rustic wedding themes. We’re seeing them everywhere now. Naked cakes are too casual for elegant weddings. They just look unfinished, which, in a sense, they are supposed to be. Naked cakes also lack extra frosting causing the cake to prematurely dry out as well. Oversized bridal bouquets can look sloppy and be too big to hold and still look elegant. Smaller overcrowded bouquets look jam-packed and too compact. For a more elegant look, choose a loose and natural style with movement or a simple and refined arrangement. Using a monogram is classy and elegant. Overusing a monogram looks too repetitive. Avoid putting your monogram everywhere and on everything. Use your monogram sparingly, like on your wedding invites and cocktail napkins. Don’t make it the focal point of your decor and design elements. Having a family style meal for your rehearsal dinner is great. However, it can create problems for your reception meal. Large platters of food will overly crowd the table. This leaves very little room for your centerpieces. Furthermore, your wedding guests will be all dressed up in their fancy clothes. Don’t make them lift and pass food platters around the table to avoid a spill or accident. Do you need affordable Raleigh NC wedding catering for a 2019 wedding reception? Not looking to break your budget? Call our expert staff at Catering by Design today! We’re one of the most trusted and affordable Raleigh catering companies and have been serving Triangle brides and grooms for years. We have wedding menus that can be fully customized. We have the best prices and customer service in the area. Brides and grooms should give us a call today to schedule their very own free menu tasting. Planning a wedding is one of the most exciting times for brides-to-be. You want your wedding to have a timeless, contemporary, and fun feel. Accomplishing this isn’t an easy task. The trick is avoiding certain wedding trend mistakes. In this short series we’ll break down what we think you should avoid to ensure you’ll love looking back at your wedding day forever. For the best wedding catering Raleigh NC has to offer in 2019, contact the pros at Catering by Design. Our clients love our unbeatable customer service, incredible flavors, and affordable wedding catering options. Geometric shapes for wedding ceremony backdrops have been very popular recently. However, this is one trend that will not last long. Avoid going this route and choose a more timeless backdrop so you’re not dating your wedding day. Sure, champagne towers look great in photos. But one slight bump and that awesome tower will come crashing down like a bubbly avalanche. In today’s tech savvy world weddings get shared and posted on many different social media platforms by the newlyweds, their family and friends, and vendors as well. Everyone wants to have a cute hashtag to represent their big day. That being said, some hashtags can invoke a big eye-roll. Don’t overreach for a campy pun and keep it classic instead. Doughnuts are the new cupcakes for wedding receptions. The doughnut wall became really popular a few years ago. We feel this trend is on the way out. Doughnuts are still cool to serve on your dessert table just don’t hang them from a wall. Otherwise, you’ll really date your wedding in the future. The only time this is acceptable is when the bride wears a non-traditional color wedding gown. If the bride is wearing all white then the bridesmaids should not. The bride’s gown needs to be the focus of the attention instead of just blending in with the crowd. Be sure to head on over to part two of this series by clicking here. 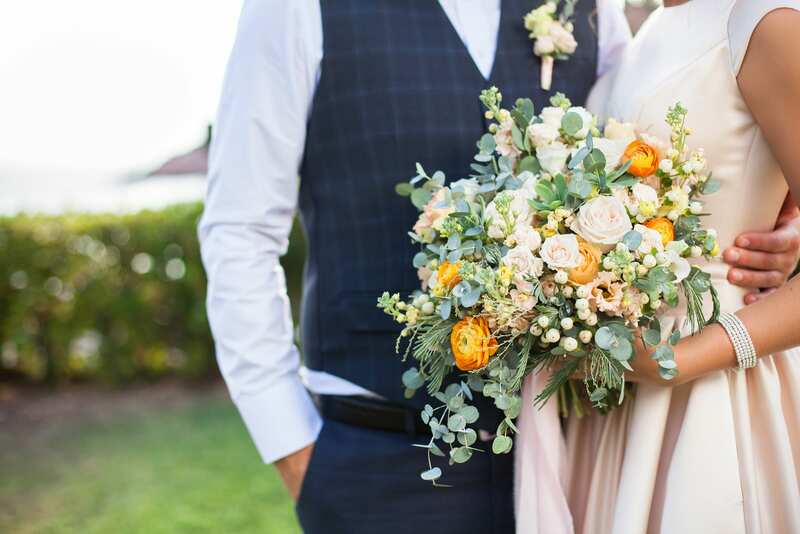 We’ll cover more wedding trend mistakes you should avoid at all costs in 2019. Do you need affordable wedding catering Raleigh NC services for a 2019 wedding reception? Don’t blow your bank account on a bad experience! Call Catering by Design instead! We’re one of the most dependable and affordable Raleigh wedding catering companies. We have wedding menus that can be fully customized. We have the best prices and customer service in the area. Bride and grooms should give us a call today to schedule a free menu tasting.